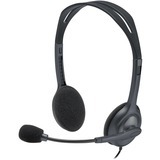 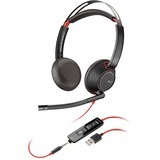 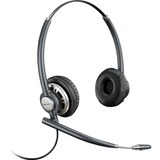 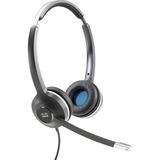 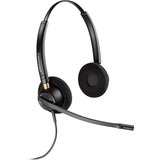 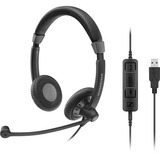 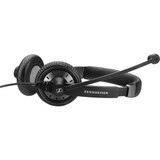 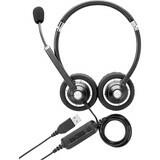 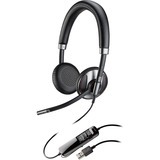 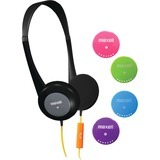 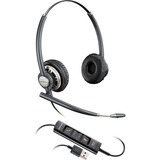 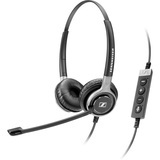 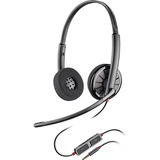 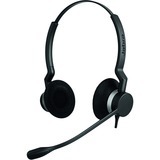 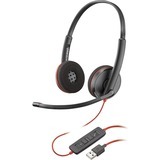 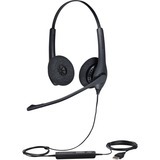 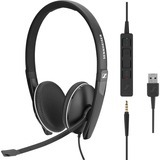 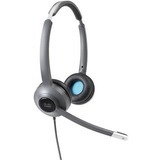 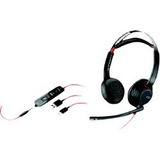 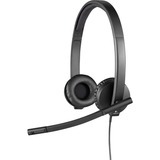 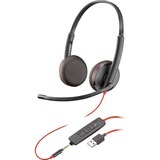 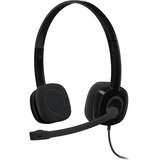 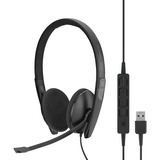 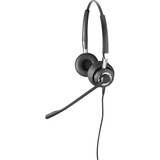 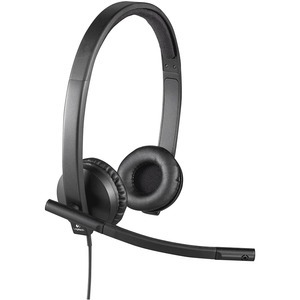 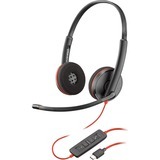 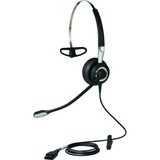 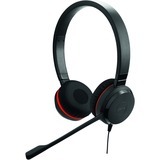 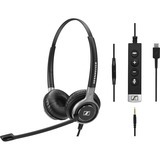 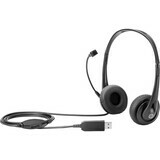 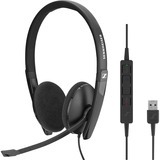 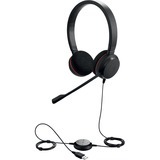 Stylish and durable, this stereo headset delivers comfort day after day to make every call more productive. 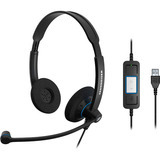 Acoustic echo cancellation, a noise-canceling mic, and digital signal processing (DSP) block out unwanted noise for clear conversations with great sound quality. 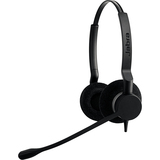 Leatherette ear pads, plus padded headband with metal reinforcement, provides strength and flexibility with a fit that's just right. 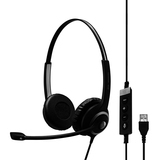 Plug-and-play technology lets you simply connect it to a PC or Mac through its USB cable with no additional software required for immediate use.